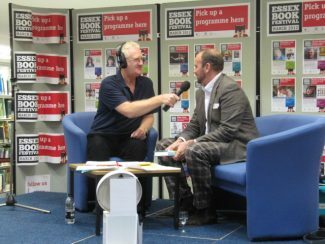 The 2012 Essex Book Festival was launched in Chelmsford Library by Siona Ford with Dave Monk from Essex Radio present to interview some of the authors taking part. 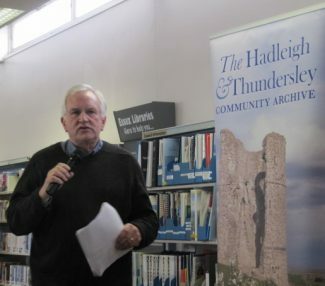 As part of the Festival, Graham Cook and Gordon Parkhill gave a talk at Hadleigh Library on Wednesday, 14th March 2012 on the theme of their book “The Salvation Army Colony: A Vision Reborn”. William Booth published a book in 1890 called “In Darkest England and the Way Out”. 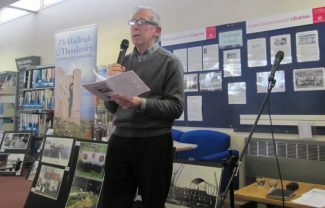 The Salvation Army was already running hostels and workshops in London, but Booth’s vision was of ‘the city colony’ ‘the farm colony’ and ‘social rehabilitation’, so the Farm Colony in Hadleigh began as a social experiment in how to alleviate poverty and give people dignity through work. 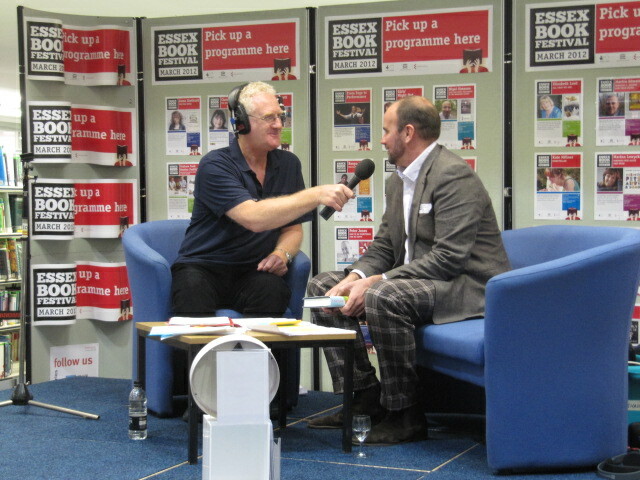 The same year, he bought three farms in Hadleigh – Castle (re-named Home) Farm, Park and Sayers. In those days, the village of Hadleigh had about 400 inhabitants. After training, the men would be sent overseas and found work in the Colonies of the British Empire, Canada, Australia and New Zealand. Local people came to work on the colony to teach the trainees. The original farms proving too small, Leigh Park Farm & Leigh Heath Farm (on the Leigh border) were added for market gardening. Leigh Heath Court flats are where the old farm used to be, the area is now residential streets: from Walker Drive to Marine Parade. The original farm house for Leigh Park Farm can still be seen today. Later on the colony became ‘Land and Industrial’ hence the initials SALIC on a window of the new Morrison’s store – Salvation Army Land and Industrial Colony. The industries included three brickworks, with a railway taking their products to the wharf (the brick arches for the track can still be seen either side of the C2C line) and barges plying between the Hadleigh and Battersea Wharves. After WWI the colony facilities were used for young men from 14-19: volunteers who came to learn a trade, with the promise of a placement overseas. Between 1926-29 more than three thousand young men were sent out. The last war brought other changes as well, enemy bombers were using the Thames as a guide into London, so guns and searchlights were installed at the bottom of Chapel Lane. After WW2, with the arrival of the welfare state, arrivals at the colony diminished. It is remarkable how little evidence of all that activity remains today. In 1990 General Eva Burrows decided to give the colony a new purpose in providing training for people with special educational needs. 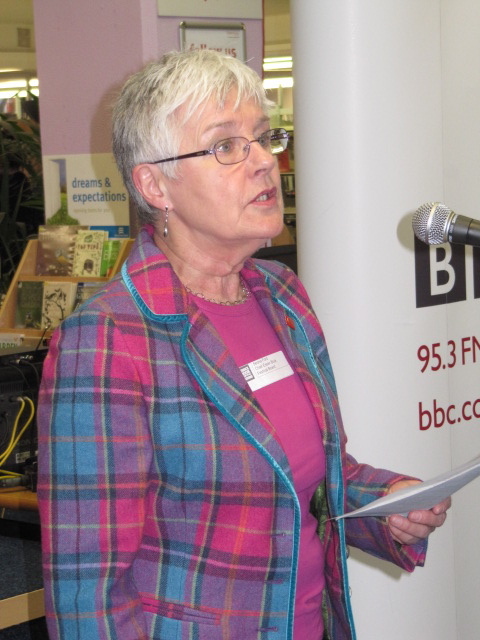 Workshops were opened to teach carpentry, computing and catering, along with the tea room and rare breeds centre.